TBD; follow Facebook page for details. Vision Zero is a traffic safety policy that takes an ethical approach toward achieving safety for all road users, setting the goal of zero traffic fatalities or severe injuries. 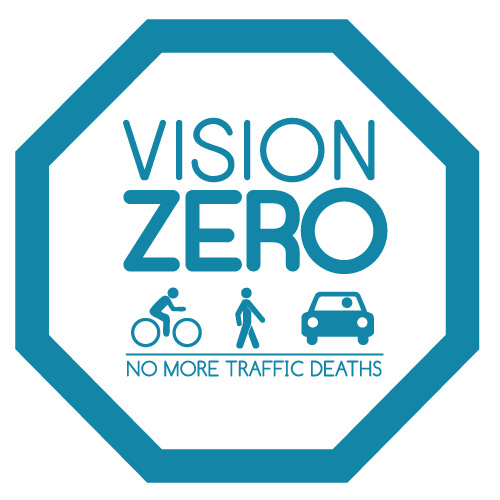 The goal of a Vision Zero ABQ plan is collaborative leadership with measurable outcomes that will ensure the success of the adoption of vision zero as a traffic safety policy for all. How Can We Come Together and Launch a Proven Policy to Eliminate all Traffic Violence, While Increasing Safe, Healthy, Equitable Mobility for All? What would it take to prepare, write and launch a Vision Zero strategy in the Albuquerque region? These questions might not be the right questions. But they could shape an invitation that we can all work on together. These 150 people attended based on an invitation, which was written collaboratively over the course of many months. One of the best attended conversations at the Summit was Vision Zero- and the momentum has continued. Therefore, we’ll be employing this same strategy to build momentum and support around a Vision Zero strategy. An important note: Vision Zero is an international effort, and it’s far bigger than Urban ABQ. Though we’ve received press for our efforts, there are many partners in the community, working to reduce traffic violence- including many of you. So we want you be at the table for this important process, of shaping a policy that will reduce traffic violence in our community. We need your help- please invite others who should be at this table.